Import Gmail MBOX to Outlook – The Quickest Approach that Actually Works! Hassle free Import Gmail MBOX to Outlook for Mac and Outlook for Windows using Mail Extractor Pro. Download and try it today! Gmail allows you to download all your data to an MBOX file. You can do that here. But what you can do with that MBOX file, or how you can use it? You can import the file to email clients that support MBOX format, such as Apple Mail and Thunderbird. But what if you want to open that in your Windows Outlook. Unfortunately, Outlook by Microsoft, doesn’t support MBOX files. But that doesn’t mean you are completely out of luck. 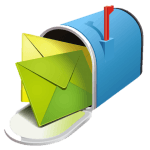 In this post, we are going to discuss a quick and easy way to convert your Gmail MBOX file to Outlook. Outlook is a great email client by Microsoft. It quickly gained a lot of users ever since it was first launched. It does have one drawback, however. While most of the information managers like Outlook support a generic file format to upload or import data, Outlook doesn’t. PST is the only format that is compatible with it. And there’s our hint on how to import Gmail MBOX to Outlook. We have to convert MBOX to PST files. How to convert MBOX to PST Files? You cannot do it manually without any aid of third part tools. This makes many users queasy. No one wants to install tools from unknown sources. Many of the free MBOX to PST converters that you can find on internet have myriads of issues with them. Some of them cannot be compromised, like unwanted bloatware. Then comes the fact that most of them are inefficient. But do not worry. That’s where this post comes in. We have tested many tools and applications that can let you convert MBOX to Outlook PST in the most professional and accurate way. USL Software has been a trendsetter when it comes to email migration programs. Their product lineup is exactly what many users wish to have when it comes to data exporting between email clients. ‘Mail Extractor Pro,’ another notable program from USL, has all those features once again. It is the only app that runs in Mac without issues and lets you convert MBOX to PST in a sharp and quick manner. It also holds special algorithms for safe transition that keeps your data and information in check, ensuring 100% data integrity protection. Moreover, most of them aren’t built to support the non-English characters in your emails’ text. They are also poorly built to convert while preserving the folder hierarchy. ‘Mail Extractor Pro’ is the only software application that does the job of safe conversion most perfectly. Check out its free trial version today before doing anything else. You wouldn’t be disappointed. USL Software offers a free trial mode that converts ten items per folder without putting any other limitation. This will give you the confidence to buy the full paid version. Download here and try it to import Gmail MBOX to Outlook.